Drug abuse can create a multitude of negative physical, emotional, behavioral, and social consequences. Not everyone who uses drugs is addicted to them. The National Survey on Drug Use and Health (NSDUH) publishes that in 2014 about 7 million of the 27 million people who were considered to be currently abusing illicit drugs suffered from drug addiction that year. 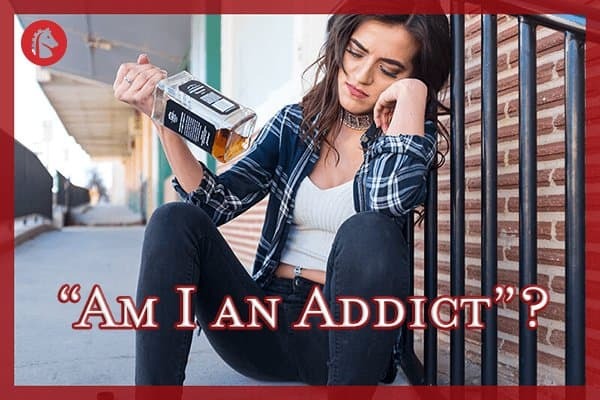 Addiction is defined by the American Society of Addiction Medicine (ASAM) as a brain disease that is complex, chronic, and involving both brain circuitry and dysfunctional behaviors. Addiction is a disease that impacts a person’s physical and emotional health as well as their interpersonal relationships with family and friends. It also disrupts their ability to function normally in everyday life. Addiction takes a toll on society in general, costing the American people around $700 billion each year in costs related to lost workplace production, crime, and healthcare, the National Institute on Drug Abuse (NIDA) estimates. Fortunately, addiction is a treatable disease, and NIDA reports that there are more than 14,000 specialty drug treatment facilities in the United States that offer a variety of amenities and a range of care options to foster and enhance recovery. Understanding addiction and how to recognize problematic patterns of drug abuse are important to recovery. Education is key, and the more you know, the better equipped you can be to make decisions on how to move forward with a healthy life. People often mistake physical and chemical drug dependence for addiction; however, a person can become dependent on a substance without being addicted to it. When drugs that alter the mind are introduced into the body, changes occur in the brain and its chemical makeup. Certain chemical messengers are affected. These chemical messengers, or neurotransmitters, are what tell a person how to feel, which can therefore impact behaviors. For example, most drugs act on the pleasure and reward centers in the brain. Levels of neurotransmitters like dopamine and serotonin are increased, which is what produces the desired “high.” Inhibitions are often lowered; sociability is increased; and decision-making abilities are impaired. Those using mind-altering drugs are then likely to put themselves into potentially dangerous situations and therefore be at risk for accidents, injuries, or other actions that may have adverse consequences (like potentially dangerous sexual interactions, for instance). Some drugs, such as stimulants like cocaine, methamphetamine, and prescription ADHD medications (Adderall and Ritalin), speed up central nervous system functions. Heart rate, body temperature, respiration rate, and blood pressure are all increased, along with energy levels, focus and attention, and excitement. The high from stimulant drugs can be very intense and may decrease a person’s appetite and keep them awake for long periods of time. Other drugs like opioids, which include heroin and prescription painkillers (e.g., fentanyl, OxyContin, Vicodin, Percocet, morphine, etc. ), benzodiazepine sedatives and tranquilizers (e.g., Valium, Xanax, Ativan, Klonopin, etc. ), and marijuana slow down functions of the central nervous system, leaving a person feeling relaxed, drowsy, sluggish, and sedated. These drugs reduce stress and anxiety temporarily. Levels of the neurotransmitter GABA (gamma-aminobutyric acid), which acts as a natural tranquilizer, are increased by their presence. When an illicit drug like one of these is taken regularly and often, the brain may begin to try and account for the changes to its chemical makeup. The brain attempts to keep itself balanced, and in so doing, it can then stop transmitting, reabsorbing, and even producing some of the natural neurotransmitters it needs to function. Regions of the brain related to impulse control, mood regulation, feelings of pleasure, memory, learning functions, and stress management are then negatively impacted. Tolerance is usually the first thing that happens with chronic drug use. The brain will no longer be affected by regular amounts of the drug, and higher doses may be needed to feel the drug’s effects. As dosage is increased, the brain struggles to keep up and rebalance itself, which can lead to drug dependence. Drug dependence is a physical and chemical manifestation of chronic drug use. When someone is dependent on a drug, they will often suffer from cravings and difficult withdrawal symptoms when the drug wears off. Drug withdrawal symptoms are often the opposite of a drug’s effects, and they occur when levels of the brain’s neurotransmitters are disrupted by regular drug abuse. Drug dependence generally is present in someone battling addiction; however, a diagnosis of addiction requires more than just this physical aspect. Addiction is a brain disease, but its primary indicator is a loss of control over the ability to make choices related to stopping or continuing certain actions that then leads to negative behavioral consequences, the journal Evaluation and the Health Professions states. Addiction, therefore, must have a behavioral component to it. The Diagnostic and Statistical Manuel of Mental Disorders (DSM) is the standard diagnostic tool published by the American Psychiatric Association (APA) and widely used by medical and mental health professionals. The most current DSM, the DSM-5, has 11 criteria for diagnosing drug addiction. With drug addiction, a person will often need to keep taking drugs in order to feel “normal” and balanced due to the chemical changes in the brain. Drugs can take a toll on a person’s body as a result. Appetite changes, weight fluctuations, health problems, and malnutrition are often signs of a drug problem. A person may also become less concerned with personal hygiene. Physical appearance may no longer be important. Mood swings, aggression, hostility, and violence, as well as feelings of agitation and irritability are common side effects of addiction. Erratic and unpredictable behaviors, depressed moods, and difficulty feeling pleasure are often the result of changing brain chemistry related to chronic drug use. Social withdrawal, increased secrecy, and relationship issues are additional ramifications of addiction and problematic drug use. Shame, guilt, anger, and denial are common emotions that go hand in hand with drug addiction. A specialized addiction treatment program can help to manage drug cravings and withdrawal symptoms, thus curbing the “need” to keep taking drugs. These programs can also provide therapeutic and supportive care to help clients and families work through the behavioral, social, emotional and interpersonal relationship issues that generally accompany addiction and drug abuse. If you believe you are a drug addict, rest assured that addiction is treatable. Reach out for help today.